It’s official. The book is off with the proofreader who will hopefully catch every missing comma, or wrong use of it’s/its for me. There will be final composition changes, and then it gets sent to the printer who will make a few thousand of these so they can appear online and in stores on June 18th. 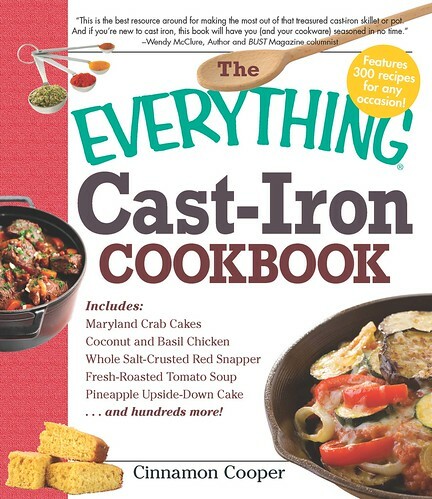 The only addition to this cover is the endorsement of Wendy McClure of Poundy, a Bust magazine columnist, writer of "I’m Not the New Me", The Amazing Mackerel Pudding Plan, and a forthcoming book where cast-iron actually may make an appearance. Thanks to Wendy and the couple of other people who wrote endorsements for me. Thanks to everyone who pushed me to write the book, listened to me talk about how hard it was throughout the process, offered suggestions, ate food for me, and generally was there when I needed you.
. . . 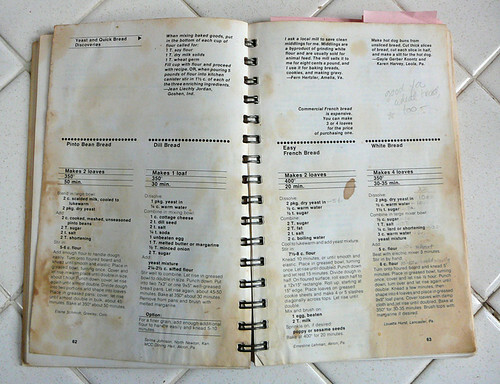 I used to make my own bread (weekly) until I moved to San Francisco in 1987. There’s too much really fabulous bread in this town . . .